We are partnering with Chipotle for this blog post and are currently hosting a giveaway on our Instagram for (1) cater for 20 people gift card. 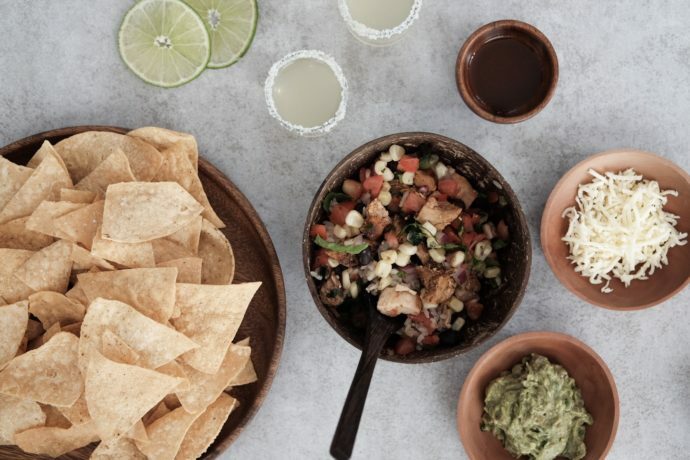 Enter quickly so you can host a Chipotle holiday party! For the catering option all you have to do is order 24 hours in advance, pick up the food, and set it out – no fuss and you’ll have happy guests/coworkers! Chipotle is my go to meal after workouts when I’m on the go. I get my protein in and the ingredients are more wholesome than other quick restaurants. 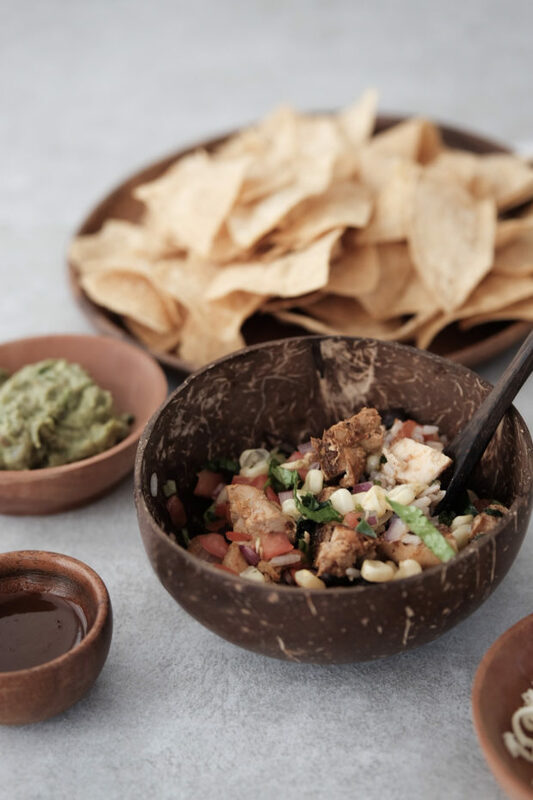 The app offers the option to order ahead to avoid the lines and now there is a loyalty rewards program, a great option for those who frequently get their burrito/bowl fix. Sophia and I decided to pair our meals with this simple mini-margarita. It can be sipped or taken as a shot. Substitute the tequila for extra seltzer water if you want to make it a mocktail. Mix all dat together and pour into a shot glass. 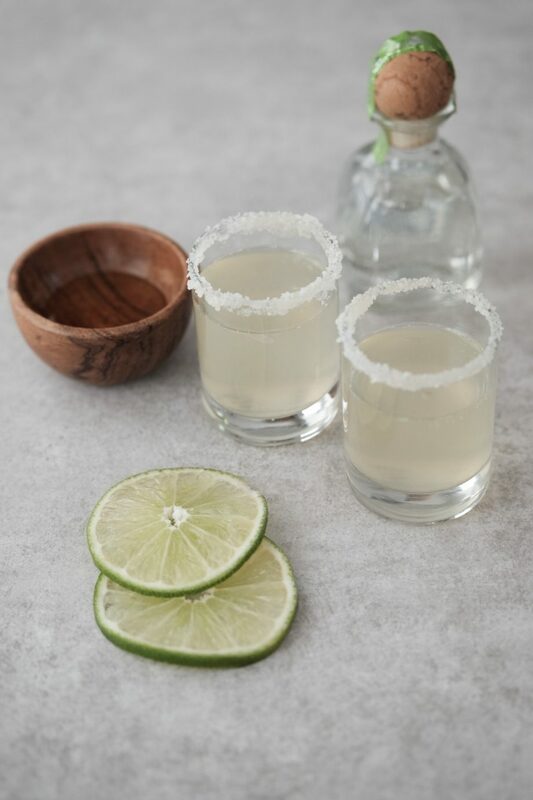 For that extra flair: dip your glass into honey and dip in salt or sugar for that tasty rim. FTC: gift cards provided by Chipotle. All opinions are our own. Yes please!!!! Cater my Christmas!!! ?? ?